Click on image for YouTube video which really helps explain their technology. Jog.ai announces the release of a revolutionary artificial intelligence transcription platform designed to record, transcribe, and analyze business calls. 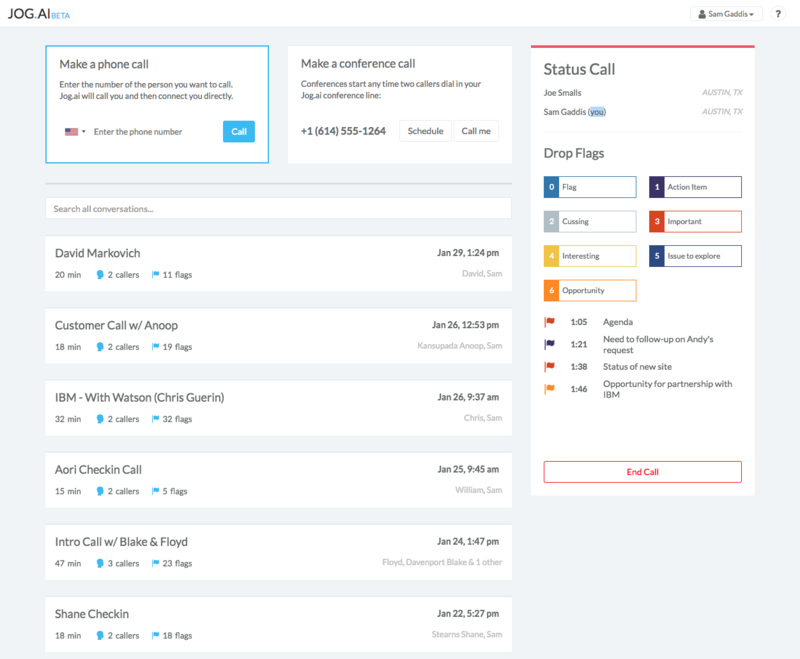 Through the power of natural language processing software, Jog.ai transcribes recorded calls in minutes, and analyzes the contents of calls to help business people maintain perfect phone call records. The AI sector is poised to become one of the fastest growing spaces in the tech industry. According to an Allied Marketersreport, the AI market is expected to reach nearly $20 billion in revenue by 2026 with 45 percent CAGAR. Jog.ai is well positioned to take advantage of this growth. The first phase the product uses AI to transcribe natural language to text. Jog.ai also provides users with the ability to flag or comment on various parts of the conversation. In future iterations, Jog.ai will include the ability to capture in person meetings as well. Transcribe one-to-one and conference calls in minutes with near-perfect accuracy. Analyze the contents of calls to surface conversation insights. Flag specific sections of calls with the press of a button or the use of a special code word. Store and listen to full phone recordings. About Jog.ai: Jog.ai uses artificial intelligence to index voice data, making it fully accessible to business people. Through language processing technology, the platform empowers users to focus on the phone call without needing to worry about note taking.